Richard Lee and Amalia Gil-Merino present Tucoerah: Return to Origin. The exhibition is a result of the GRID residency that provided an opportunity for the artists to immerse themselves physically in the cultural landscape of the area; collecting local stories and attending community events to inform their interpretation and survey of the Georges River. The title of the exhibition derives from the traditional Aboriginal name for the Georges River, which runs parallel to the Casual Powerhouse Art Centre. The analogy of landscape and the human body that Lee and Gil-Merino refer to is represented at a macrocosmic level, whereby rivers and tributaries act as the arteries and veins that endure the process of constant change. 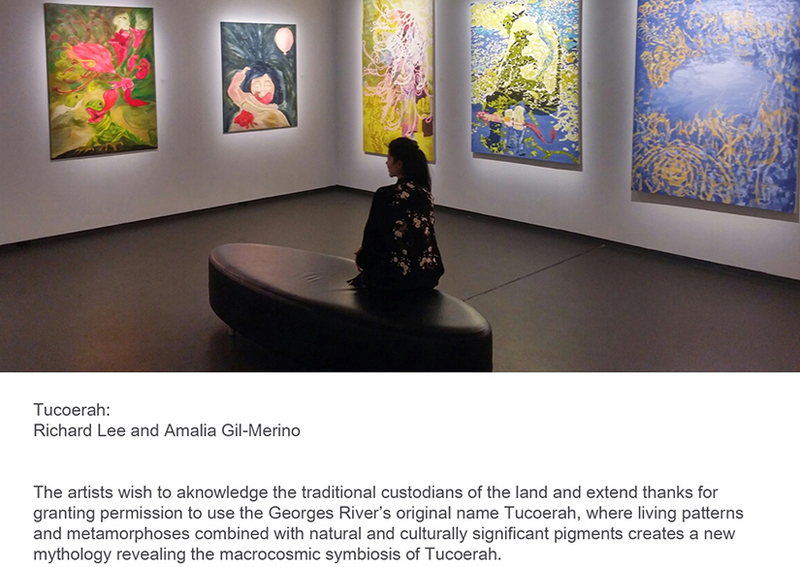 Although Lee and Gil Merino differ in their approach to painting, the Georges River flows through this exhibition as a lyrical metaphor – a conduit of the vital life force that gives expression to human emotions such as love, contemplation and imagination - returning us to origin: Tucoerah. Top banner image: Richard Lee, Toro (detail), 2015. Oil paint on canvas, 100 x 120cm. 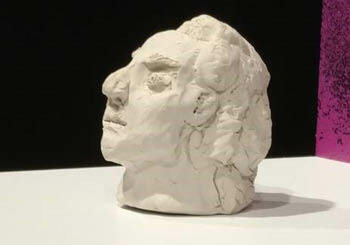 Figure Heads engages with the current suite of exhibitions and gives audiences the opportunity to engage in creative power play of their own.